Do you suffer from rough heels? Are you looking for effective ways to bring back the smoothness of your feet? In that case, you may need to try an effective way to treat it. A good option is to use the Amope Pedi Perfect Foot File. In today’s fast paced world, there are too many products to choose from that promises to deliver good results. Knowing that there are several choices around, it can be hard to pick the best one that works. The best way to know if the product will work for you, it is good to read feedbacks and reviews first prior to buying. The internet is the best source of information to give you the answer that you need and to learn about Amope Pedi Perfect Foot File. The perfect foot file by Amope is what you need if you are looking to have a ÔÇÿhappy feet’. 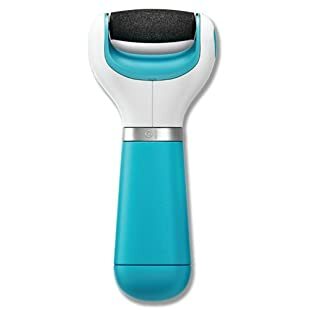 The device has an ergonomic shape with a soft to touch handles for quick and easy use. It is handy that you can bring it anywhere you like. 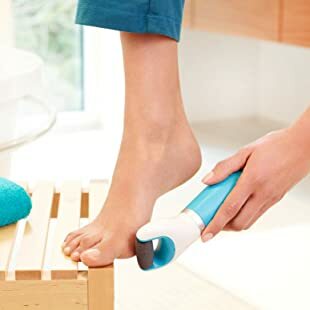 The device can gently yet effectively remove the thick parts of your heels in order for you to bring back the smoothness that your feet long to have. This is why, its promise that you will bid goodbye to thick calloused feet can be achieved before you know it. There is no need to worry on over using the roller head as it can be replaced. The head can spin in 360 degrees which can deliver effective results right away. When purchased, the Amope Pedi Perfect Foot File already comes with four AA sized batteries. Like what was mentioned earlier, the product is handy as it only weighs 9.6 ounces. The size is 2.4 x 6.5 x 8 in inches. In order for you to achieve the flawless and smoother feet, all you need is to follow the four easy steps. Prepare the device. When you received the product, you be required to insert the roller head to the device. Put the batteries then turn it on. It is best to use it when the feet are dry after cleaning. Process or operation. Place the roller head on the calloused part of the foot. Apply only light to medium pressure. You can ensure that whenever you operate it, there is hardly any risk of danger since there is a built in safety stop. Continue working on the hard or thickened part of the skin. Continue using the product until you feel that the thick part of the skin is gone or until the feet is silky smooth again. Of course, you need to stop once you feel that the foot is already inflamed. After care. Right after the process, you need to wipe or perhaps rinse the feet. This way, you are able to remove the excess skin and could make the feet dry thoroughly. As a finishing touch, you may want to put cream of foot lotion in order to moisturize the feet and restore the healing process. With regards to the frequency of use, this product can safely be used as often as you want. Use it anytime anywhere until you are satisfied with the texture of your feet. The results differ from one person to another. It can also depend on the amount of pressure given to the thickened part of the foot. Take into account that the feet acquired the calloused caused by different reasons as well. An indication that you already need to replace the roller head is if it is already damaged. It would be dependent on the duration of treatments made and the intensity of use. Yet, you can rest assured that the head is durable enough for few treatments. The Amope Pedi Perfect Foot File is one of the many revolutionary products that you can depend on during this fast paced world. It is a pretty sensible investment to take that can help you save lost of cash rather than going to the salon. It comes with a manual so you can explore everything you need to know about it once purchased. NEXT POST Next post: Removing Calluses- Why Is It Important?